Updated Sunday February 10, 2019 by Orillia and District Soccer. We are trying something new this year! Youth/young adults ages 16 to 18 are invited to register in a new division. 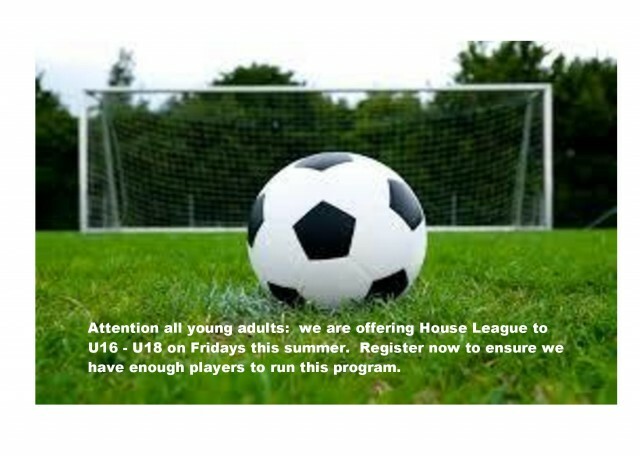 This summer we are extending our House League Program. Join early to ensure we can plan ahead for this division. Encourage a friend or two to come out and have some fun.